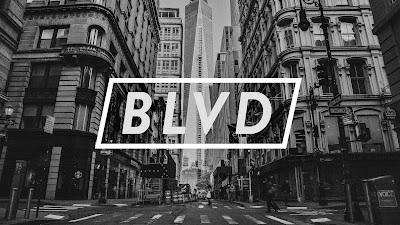 Today we are going to be continuing the sermon series BLVD--and the idea behind this series is pretty simple: Christians need to become roads that connect people to Jesus. We don't need to be roadblocks or impediments. Let me ask you a question: Have you ever been lost and stopped to ask for directions----Okay, that actually probably needs to be a question all on its own, right? Seriously, have you ever stopped and asked for directions and you got the worst directions ever given? Oh, I have. For sure. I remember once I was lost somewhere in the middle of Georgia. This was in the dark days before smartphones, kids. Back when you used to have to use an archaic thing called a map. So I was lost in the middle of Georgia and the map wasn't helping all that much because I had no idea where I was on the said map. So I finally gave up and stopped at a gas station where the guy working there was actually sitting outside in a rocking chair. Aight... you keep going down this here road until you come to Downberry, and then you turn. Then you go down that for a bit until you come to what used to be a filling station, then it was a liquor store and now its nothing... you come to that and you turn. Then you go for about two miles until you see a road next to a big old tree that you can't miss, and you turn. You follow that there road and you'll see the signs for the interstate soon enough. He then grinned a semi-toothless grin at me and winked. I eventually did find my way to the interstate but it took a while. I had this friend in high school who lived in what used to be a rural part of Florida just outside of Disney World. His house had been in his family for a couple of generations--out in the middle of nowhere, surrounded by scrub oak and palmettos. When Disney moved in in the early 1970's that changed everything. Just about three or four times a week some tourist or another would get lost trying to find their hotel and would stray down his road which looked like a dead end. So my friend, who couldn't stand tourists, would give them directions that would send them in the opposite direction, just to mess with them. Think about the kind of directions you would like to receive if you were asking. What would make them effective and helpful to you? You would want the person giving directions to actually pay attention whether or not you were from the area, right? They should ask qualifying questions like, "Have you been here before? Do you know where this road or this landmark is?" They should try to figure out who you are and where you came from just a bit before launching in their directions. They should discover what connections you have with the area or the landmarks they might be sharing with you. If you come from a place where Wal Mart doesn't exist (does that place exist?) they probably shouldn't center their directions around the Wal Mart---they'd need to find out that information. And perhaps they might also find out what kinds of connections they have with you as well--what brings you to the area, where are trying to go? Because that might inform where they direct you, and what shortcuts they might share with you to get you where you are going. I've been thinking about how as Christians we sometimes get this wrong with people who are trying to find Jesus. We often act as roadblocks to them when we begin offering them directions before we really and truly discover who they are, and what they really need. For decades, Christians have been taught that there are all kinds of people out there who are "lost" and they need directions on whether they are on the road to heaven or a highway to hell. I remember going door to door witnessing when I was a teenager, and being trained to ask people who opened the door, "If you died right now, would you go to heaven or hell?" Honestly, that kind of direction giving was the equivalent of what my friend used to do to tourists. It sends people headed in the wrong direction. Or we'll talk over people with our certainty about how they should be living their lives, and how we've got the directions they need even though they may not understand a single thing we're saying, and have no frame of reference to get why we're saying it. And in so doing, we act just like that guy who gave me directions to turn without telling me which way. He just assumed that I ought to know what I was talking about, and if I didn't--so what? I was probably a Yankee. Today we're going to be focused on some practical ways that we can effectively begin to engage people in our lives for the purpose of sharing our faith, and our journey with Jesus. To be the kind of Connectors that help people find Jesus more easily rather than sending them in the wrong direction. Connectors care about where people are going. And when I say care, I mean they really care. Far too many Christians carry on a masquerade of caring where it seems as though they care about people, but mostly they just care about being right, and making sure that as many people as possible agree with their being right, because than that sort of validates their rightness. It's not about being right. It's about being the kind of connector that cares. To coin that old chestnut: Christians need to realize that people don't care how much we know until they know how much we care. Today we're going to be reading a strange passage of Scripture from Romans chapter 16, which is the final chapter in Paul's letter to the first-century church in Rome. In this chapter, Paul makes a list of all of a bunch of people who are part of the church at Rome--people who Paul cared about, invested in, and helped to find Jesus. 1. I commend to you our sister Phoebe, a deacon of the church in Cenchreae. 2 I ask you to receive her in the Lord in a way worthy of his people and to give her any help she may need from you, for she has been the benefactor of many people, including me. She bore and preserved this letter all along that hazardous journey from Corinth to Rome. There is a strong suggestion here that Phoebe was a teacher or an evangelist. 3 Greet Priscilla and Aquila, my co-workers in Christ Jesus. 4 They risked their lives for me. Not only I but all the churches of the Gentiles are grateful to them. 5 Greet also the church that meets at their house. We meet this couple in other letters of Paul. We see them first in Chapter 18 of Acts, where Luke tells us they were Jews, tentmakers by trade, who were driven out of Rome by the decree of Emperor Claudius. Greet my dear friend Epenetus, who was the first convert to Christ in the province of Asia. 6 Greet Mary, who worked very hard for you. Epaenetus was never forgotten, for he was the first one to believe the gospel when Paul came to the province of Asia, of which Ephesus was the capital. We do not know what Epaenetus was doing in Rome, but he was cherished because he was the first to exercise faith in Asia. And associated with him is Mary, whom Paul calls "Mary the toiler." 7 Greet Andronicus and Junia, my fellow Jews who have been in prison with me. They are outstanding among the apostles, and they were in Christ before I was. Andronicus and Junias were relatives of Paul, and since he says they were "in Christ before me," this takes us back to the very first days of the church, back to the ministry of Stephen in Jerusalem. Ampliatus in an interesting name. In the cemetery at Domitilla, found among the catacombs in Rome, there is a highly decorated tomb with the single name "Ampliatus," written on it. A single name like this implies that the man was a slave, but as the tomb is rather ornate, it indicates that he was a Christian, and highly respected by the leaders in Rome. 9 Greet Urbanus, our co-worker in Christ, and my dear friend Stachys. 10 Greet Apelles, whose fidelity to Christ has stood the test. This is believed to be the grandson of Herod the Great--and Paul is addressing the slaves and servants from his household. May have been part of the royal family of Herod himself. Was a personal secretary to Claudius, was eventually forced to commit suicide by Nero. These people were most likely slaves and servants. Asyncritus, Phlegon, Hermes, Patrobas, Hermas and the brothers with them young businessmen who had come to Rome and formed a group. They had all become Christians and had another house church going in their bachelors' quarters there. Timothy, my fellow worker, sends his greetings to you, as do Lucius, Jason and Sosipater, my relatives. Timothy was his protegee and all of these others were relatives and also served with Paul in his missionary work. The scribe of the letter. Gaius, whose hospitality I and the whole church here enjoy, sends you his greetings. Erastus, who is the city's director of public works, and our brother Quartus send you his greetings. You can see the influence here well into the city's political system. Because Paul cared about all of these people. He cared about where they were going--no matter who they were, no matter where they came from, no matter their status, their gender, their nationality, class, race, you name it. Paul just cared where they were going, and he cared enough to connect with them where they were, and to help them find their way to Jesus. Paul didn't provide directions to people he didn't know, to people he didn't have a real relationship with. Paul prayed for these people. He invested in these people. And ultimately Paul invited these people to join him on his journey of following Jesus. Despite all of the examples that we have in Scripture, most Christians tend to practice three kinds of evangelism--which is another way of saying "sharing their faith." So most Christians fall within these categories of evangelism that generally has nothing whatsoever to do with relationships, with caring where people are going... at all. First, I would say that there is a significant group of Christians who practice Relation-less evangelism. The most extreme version of this is a street preacher or the protester who posts up outside of a concert venue with a huge sign that lists all of the different people who are going to hell. "If you die right now, would you go to heaven or hell?" or something to that effect. Or it can come in the guise of things that appear to be positive--like a big event--where trained speakers appeal to the emotions of people who came to hear them and then elicit some kind of response from them with no follow-up. Second, I believe that there are certain Christians who practice tribal evangelism. These are the kinds of Christians who are keen on evangelizing people for their church, their way of believing, their particular tribe. I've actually had firsthand experience with this when I've had people attending my church who were new to the Christian faith, get scared off because some Christian-y friend of theirs told them that the only real Christian church was the one they were attending and it was most definitely not Presbyterian. Finally, I think that the vast majority of Christians actually practice no evangelism. For most of us, the idea of sharing our faith with a friend, co-worker, neighbor, the barista who makes our coffee four times a week at the coffee shop, our favorite cashier at the grocery store or even a relative... never really enters our mind. Don't get me wrong--most of us aren't intentionally trying to keep from sharing our faith. If it happens accidentally, we might give it a half-hearted try. Or we might have a rare moment when we'll have a real conversation with someone about what it means to us that we're a Christian. But for the most part, we never say a word. It's partly because we haven't had good examples, and partly because we're afraid of saying the wrong thing. But mostly it's because we just don't think about it. Even though the story we have to tell is the greatest story ever told. Even though following Jesus has given us a sense of purpose, meaning and connection to the Divine that has changed our life. The answer is that we have to be intentional, and relational. We need to learn how to practice Relational Outreach on a daily basis. Jesus gave two commands: To Love God and Love Everybody. But he also gave a commission to his followers---a "hey, go and do this" kind of exhortation to go out into all the world and invite people to join in the journey. You can't just leave this to someone else. This is on you, just like it's on me and on all of us who call ourselves Jesus-followers. We are called not to shout people down, shame them, frighten them, berate them or argue them into faith. We are called to meet them where they are, walk beside them and invite them to join in the journey. So, I'm challenging all of the members of our church to join with me in practicing some relational outreach that I'm calling Pi2. Pray. Invest. Invite. You all have been given a card that has space for four names on it. I want you to think about four people in your life who you have a relationship with, and who you know would benefit from joining in this journey with you. I want you to write their names on this card. And then I want you to commit to praying for them by name every single day. Pray intentionally and specifically for them. Every day. If you struggle with how to pray, then just think about them, send them positive vibes, whatever you need to do. But pray for these four people every single day. Think of a co-worker. A close friend. A neighbor. A person who serves you--at your favorite restaurant, coffee shop, garage... And then commit them to prayer every day. And here's what I want you to be praying along with those prayers. Be asking God, "God, give me an opportunity to be a blessing to them. Give me an opportunity to meet them where they are. Give me an opportunity to listen, to support, to love on them." Then I want you to find ways to invest in these four people every week. Spend time with them. Eat dinner with them, have coffee, offer to help them move, or babysit their kids. Find out if they have a hobby and try to join them in pursuing it. Call and check on them. Shoot them a Facebook message or an email or a text. But just invest in them once a week. You will be shocked at how people will respond as you intentionally invest in building a relationship with them. Which will help you as you take your next step. Finally, I want you to invite them to the proper environment on a regular basis. Maybe the right environment is to ask them to church on Sunday. That might not be the right environment for everyone, but for some people, it will. And find out which kind of worship service they would feel more comfortable in if they are the kind of people who would want to attend church. But if they aren't all that keen on going to church, you shouldn't throw up your hands in despair. Invite them to take part in a local mission project like Mobile Loaves and Fishes or to be a mentor at Kids Hope with you. Invite them to come to MOPS if they are a young mom with little ones. Invite them to come to Lifetree Cafe for an hour of great conversation. And if they are really not into even being near a church--invite them to come to one of our He-Brews events or the new She Time for women, or one of our Prime Time lunch bunch excursions. And students--you should be doing this, too! So maybe your friend isn't all that into a church, but would really love coming to youth group on Sunday or Wednesday evening---or to one of our fun events. Pray. Invest. Invite. It's that simple. 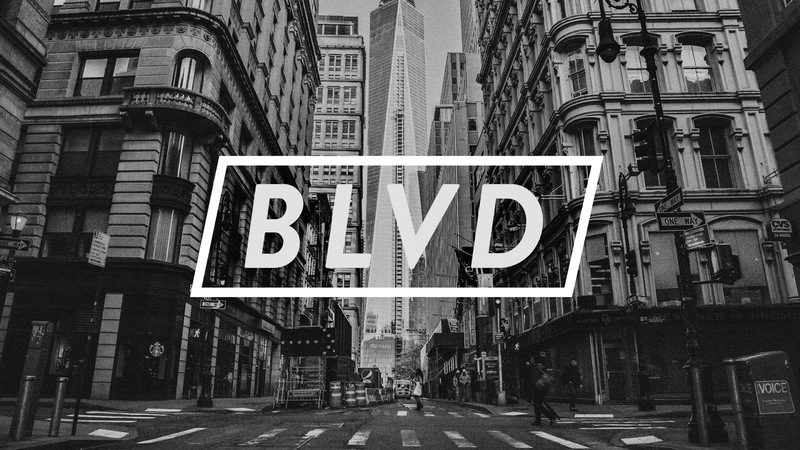 Because if we're going to be roads that connect people to Jesus we have to be thinking and acting like connectors. And connectors care about where people are going.